Perhaps, I have mentioned this a time or two but, for those who are new here, I’m a “border kid”, born and raised in Niagara Falls, Ontario. The only thing separating us from Niagara Falls, New York was a river and a few bridges. There was a time when going from one Niagara to the other wasn’t given a second thought. It was equal to walking around the corner to a friend’s house. Things change and now you had better be ready to invest a a fairly hefty piece of time just waiting in line to cross that bridge never mind contemplating what might happen when it is “your turn” to face the border agents. As I said, that is now. Then, things were different. We came and went freely. Parents were never concerned if their children walked across to another country just to hang out downtown. Can you imagine? I said “ANOTHER COUNTRY”! It never felt like that. We all had friends on both sides. We all had relatives on both sides. We studied the same things in school. OK, we were led to believe we studied the same things in school. The reality was quite different. Once a Canadian child was of certain age you started to ask questions. Most families took turns hosting Holiday dinners. If we spent Christmas at Aunt Maude’s in Buffalo then we would spend Easter at our home in Niagara Falls. The Fourth of July was always spent in the US. Dominion Day (now Canada Day) was always spent in Canada. One Holiday was always a great source of confusion, Thanksgiving Day. 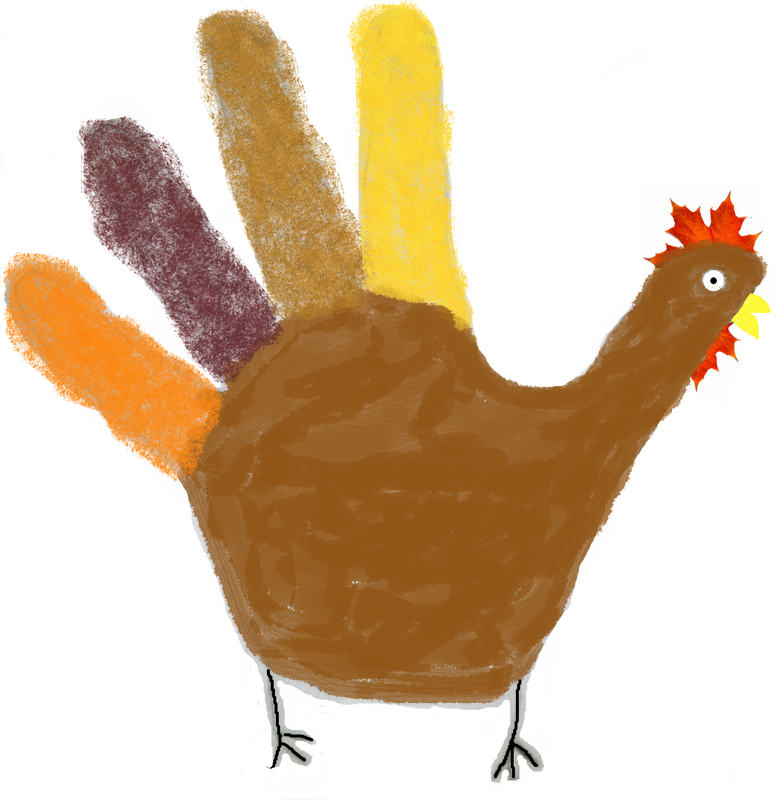 Pretty standard Thanksgiving artwork done by kids on both sides of the border…except I just made this one this afternoon…not when I was five. We celebrate Thanksgiving on the second Monday in October. Our American friends celebrate on the fourth Thursday of November. Granted it made the who ate where part easy to figure out but we had questions. We all learned about Thanksgiving in school. You know, the Pilgrims, Plymouth Rock, Natives, corn, turkey dinner…wait a minute. Random shot of corn just because I like it. 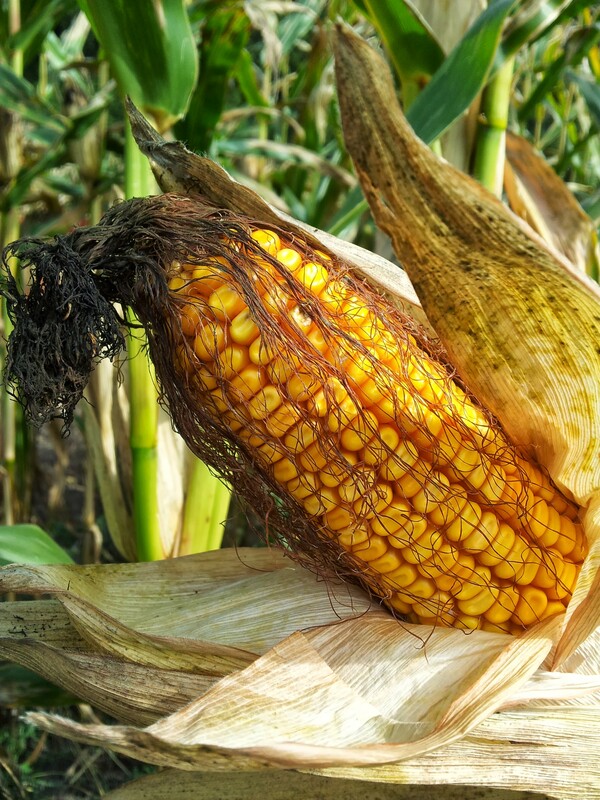 There was no corn. Right about now is when you start to realize things may not be the same in the classroom on both sides of the border. As a Canadian child I was taught a great deal of American history. In fact, I would venture to say that the influence of American History was quite heavy in my classroom. With family on both sides of the border it is easy to compare notes and find that Americans know very little about Canadian History. Canadian TV Producers have actually made extremely amusing programming asking Americans to answer questions about Canada. Funny? Yes, but, also a little sad, don’t you think? The history of Thanksgiving in Canada goes back to an English explorer, Martin Frobisher, who had been futilely attempting to find a northern passage to the Orient. He did, however, establish a settlement in Canada. In the year 1578, Frobisher held a formal ceremony in what is now the province of Newfoundland and Labrador, to give thanks for surviving the long journey. This event is widely considered to be the first Canadian Thanksgiving, and the first official Thanksgiving to occur in North America. 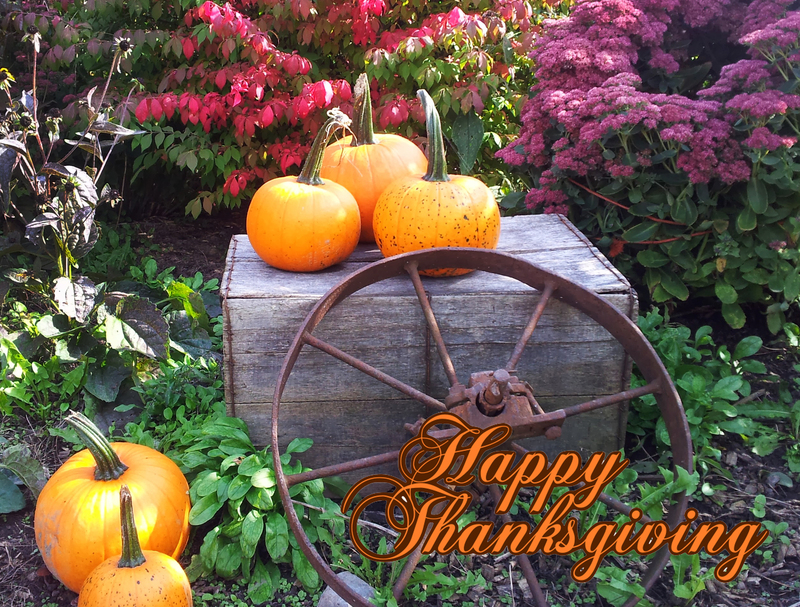 The reality is that Canadians celebrated Thanksgiving 43 years before the Pilgrims reached Plymouth. There wasn’t even turkey served. The first Thanksgiving meal was salt beef, crackers and mushy peas. It was all they had. I will give thanks that the Americans changed the menu, although I can think of some turkeys who wouldn’t. 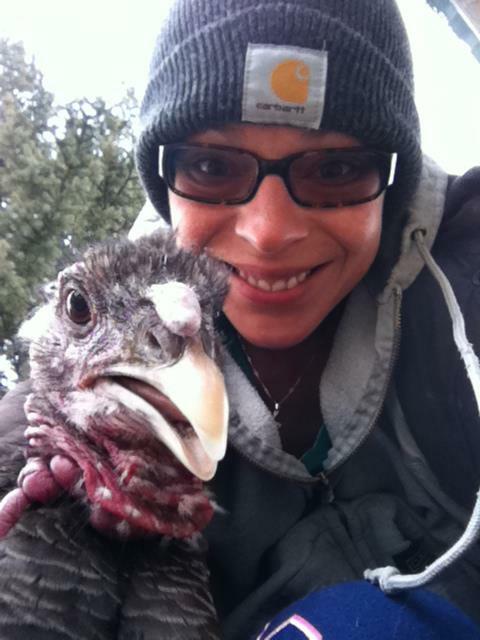 Cousin Susie with “Betty”, who will never be Thanksgiving dinner. Last year folks on both sides of the border celebrated and continue to celebrate the 200th anniversary of the “War of 1812“. Yes, we have spent a couple of years celebrating us becoming not American. I am not sure why the Americans were celebrating. Oh, that’s right, they still think they won that one (according to my much beloved American brother-in-law). 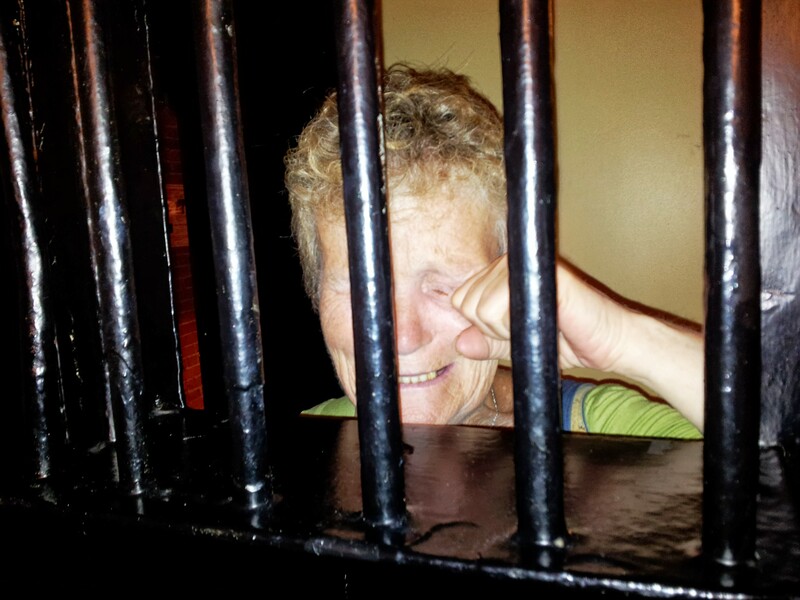 Here Laura Secord is considered a hero. In the US…not so much. There are a lot of discrepancies when it comes to Canadian/American history most recently would be Ben Affleck’s depiction of what happened during the Iran Hostage Crisis. I prefer President Reagan’s account. We will probably always have these inconsistencies in our history together. We will probably always disagree on how to spell color/colour. We will bang our heads together trying to figure out how many kilometers per hour is equal to how many miles per hour so we don’t get a speeding ticket in either country. I am celebrating my Canadian Thanksgiving on the second Monday in October but on the fourth Thursday in November I will also give thanks for all my American friends and family. This was shocking to me. He-Who has been blogging and in one of his recent posts I found out I was not his muse! How is that possible? He-Who is definitely my muse. If it wasn’t for him I wouldn’t have anything to write about. He-Who has many talents and is knowledgable about many things. Perhaps the thing he knows the most about though, is junk food. His specialties would be pizza, hamburgers and French fries. It has been his life’s mission to find the perfect fresh cut fries. 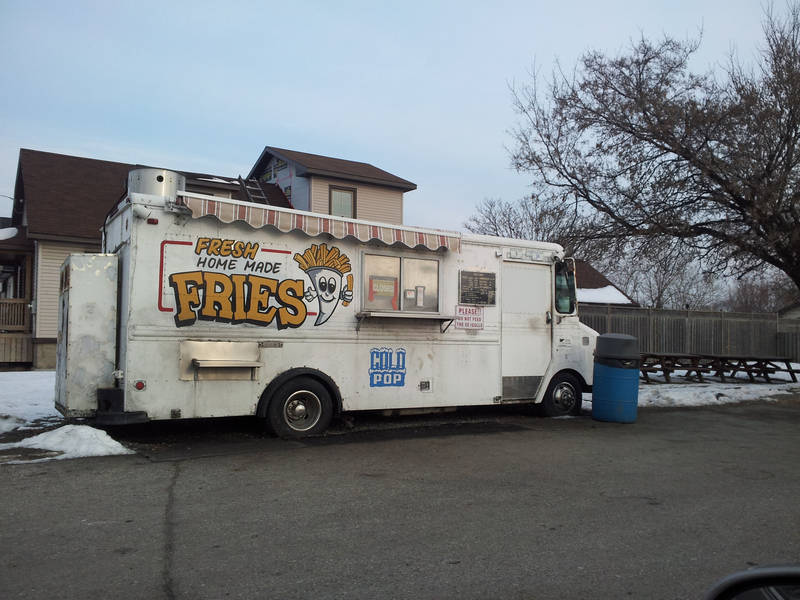 In keeping with his quest he has become familiar with every French fry truck aka “Chip Wagon” near and far. When we first met we lived in Niagara Falls. 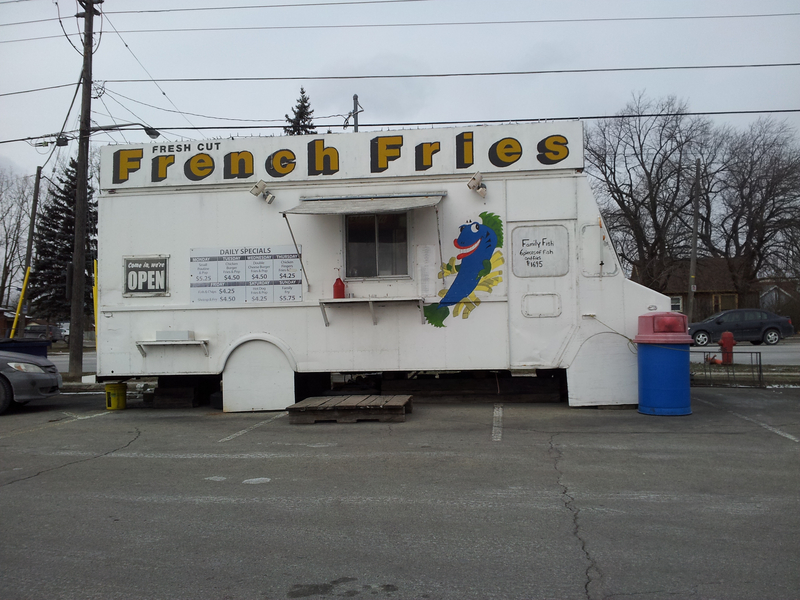 You can head in any direction in Niagara Falls and find a French fry truck. There is one in every corner of the city and a few in between. 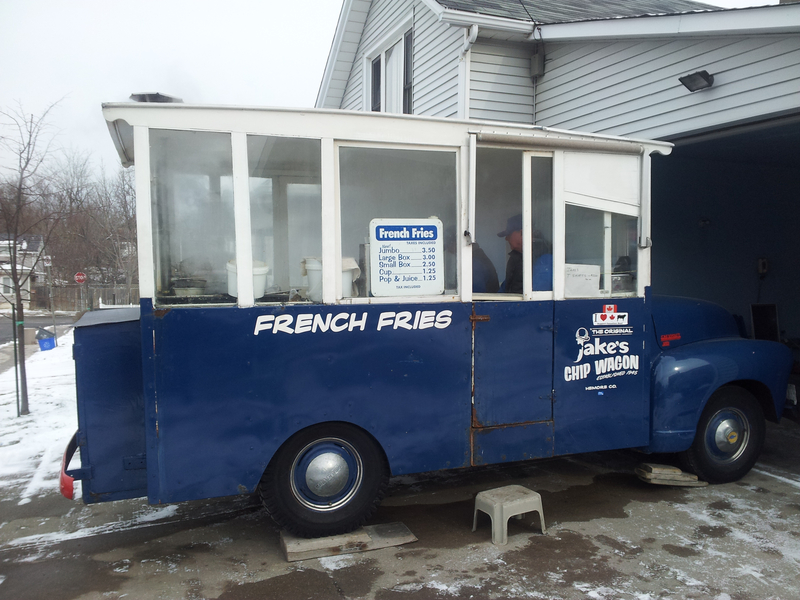 The most historic FF truck in Niagara is “Jakes Chip Wagon”. That truck was around long before He-Who even thought of leaving his frigid Winnipeg home and moving to Ontario. Located Downtown on St. Clair Ave. near Queen Street it actually has been around since 1945. 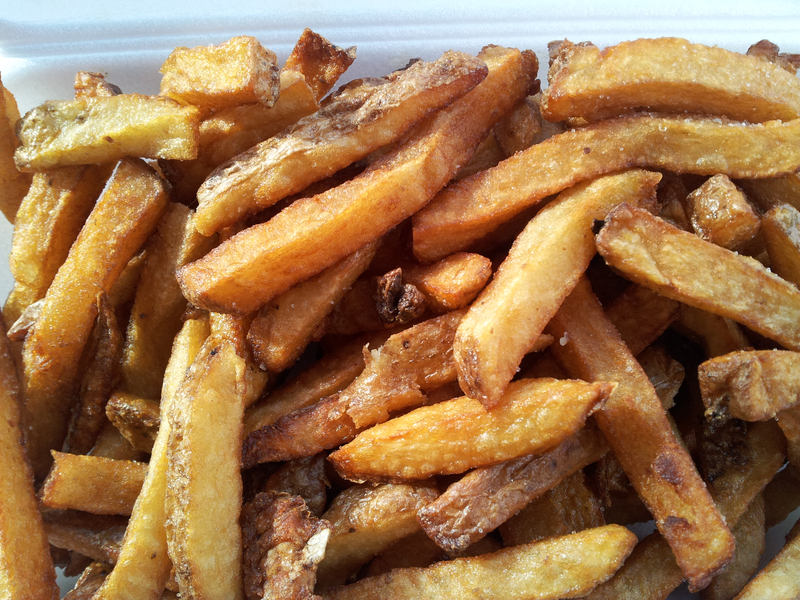 My first first French fry as a child came from Jakes as it did for most people born and raised in the Niagara area. Just the smell of salt, vinegar and oil can evoke vivid childhood memories. Jake’s Chip Wagon is a converted 1951 Chevy truck. There are others. 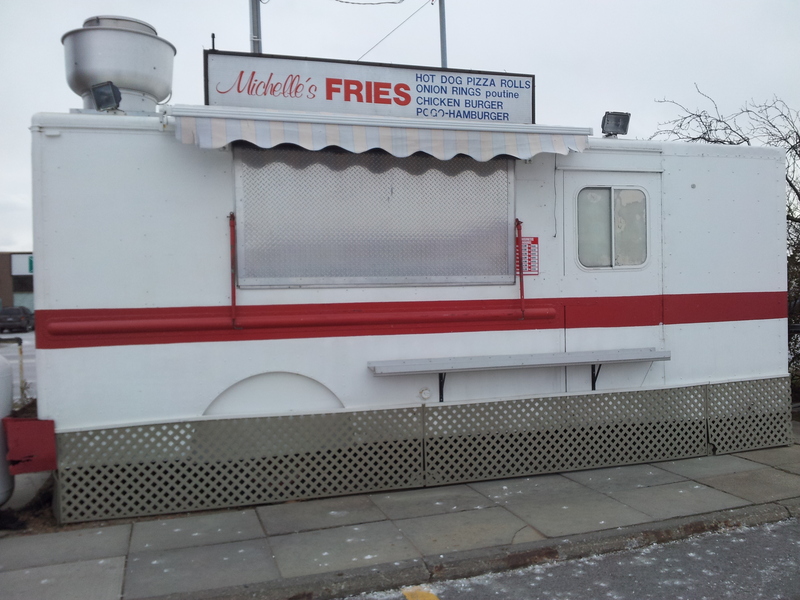 Potato Heads on Lundy’s Lane, Michelle’s Fries (not related) at the corner of Morrison St. and Dorchester Road. Located on Lundy’s Lane near Drummond Rd. Located on Morrison St. near Dorchester Rd. Some have no specific name just a permanent location. 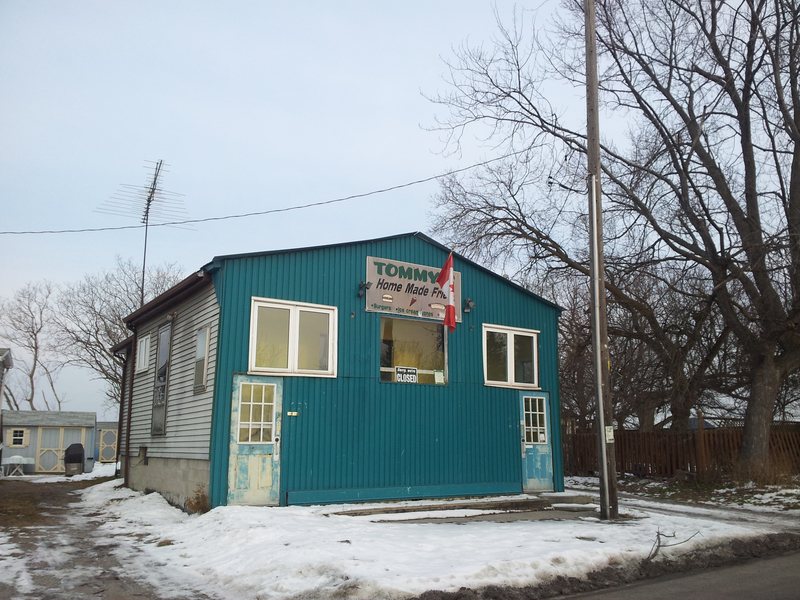 Located on McLeod Rd. near Dorchester Rd. Located on Drummond Rd. in the Delta Bingo lot. They come in all shapes and sizes. Some are seasonal and some are year round. The point is if He-Who was on an errand he was never far from a Chip Wagon. Then we moved to Oakville. There was not a FF truck to be found. 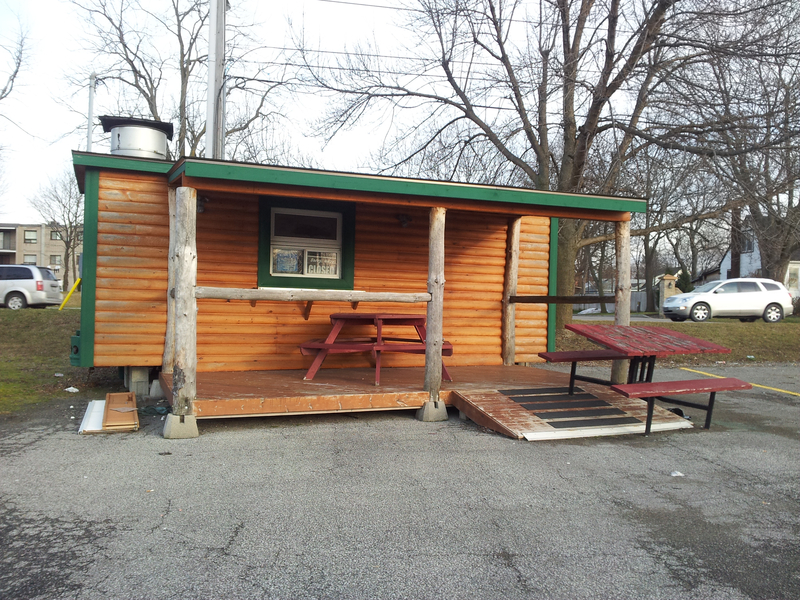 He-Who would spend countless hours searching for these wee homes for fresh cut fries, but to no avail. He was distraught. I casually mentioned one evening after a long day at work that one of my co-workers thought there might be one near the Ford Plant. After dinner I put on my PJs and got comfy in front of the TV. Things started to get restless in He-Who’s corner. He-Who: Let’s go for a drive. Me: No, I’m exhausted and I’m in my PJs. He-Who: Come on! I’m sick and tired of sitting around on our butts watching TV. All we ever do is watch TV. Me: Except of course for the 1o – 12 hours I work every day and then I get to come home and cook and clean. He-Who: (ok…a whole string of expletive deleteds but all directed at me wanting to watch TV). You don’t have to change. You’ll just be in the car. We drove around for quite awhile until I realized he was working his way over toward the Ford plant in a really round about way. Me: You son of a (actually a really nice woman)! 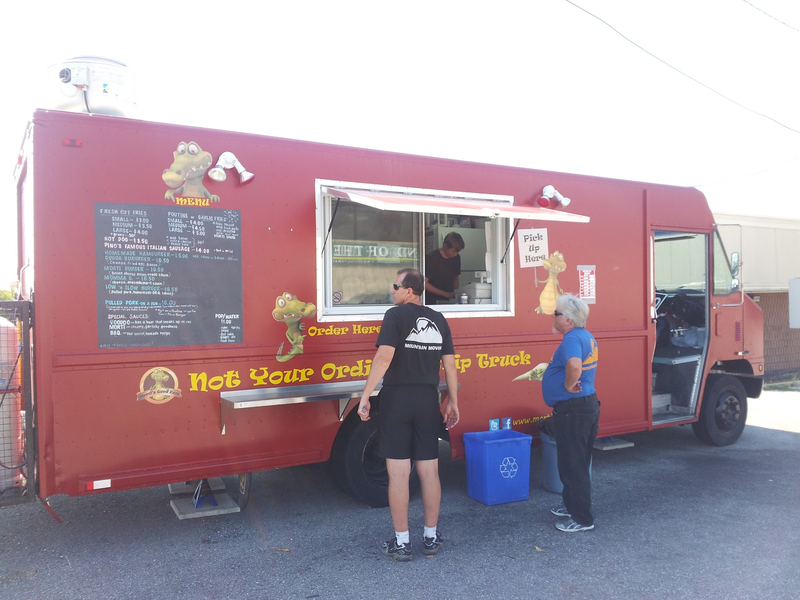 You’re looking for that Chip Wagon! Just take me to the grocery store and we’ll get some potatoes and oil and I will make you your freaking fresh cuts! He-Who: YOU CAN DO THAT?! Me: Yes, I can do that. He looked like a kid on Christmas morning. I knew I had done something really, really bad but it was too late to turn back. Now he knew. The next day I came home from work and there on my countertop was a brand new deep frier, a sack of potatoes, a ginormous container of oil and a stack of papers. The papers were all the research he had done on how to make fresh cut fries that he had found on the internet. It got so that I would come home from work and smell the grease and I would know that he had made himself french fries for lunch. My theory was that he didn’t need them for supper then. Apparently I was wrong. When my nephew moved in for awhile that deep frier was going constantly, until the day I came home and found the two of them hovering over the counter looking horror struck like they had just lost their best friend. In a way they had. The deep frier had actually melted in on itself. It took me a very long time to clean up the mess and degrease our home. There would be no more deep frying in my home! When we started considering moving to the Durham Region it didn’t take long for He-Who to make up his mind. We had discovered a plethora of Chip Wagons in the area and he was in heaven. Whatever direction we headed there was a FF truck to be found. We’re on our way to Peterborough. 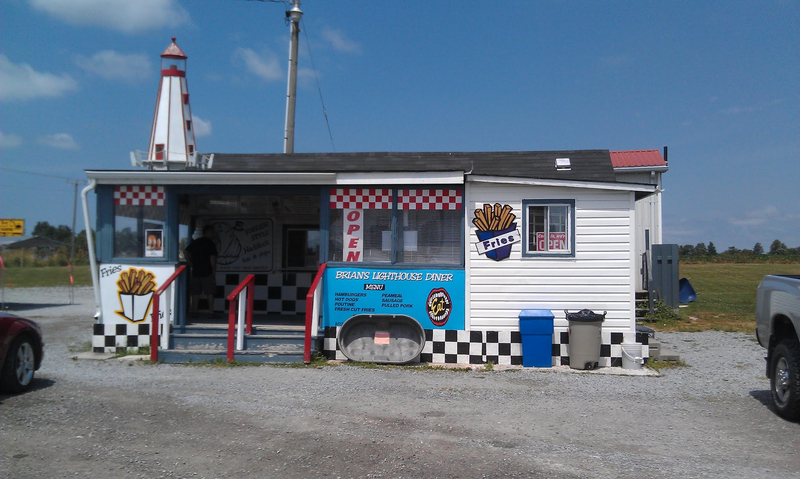 Where is the best place for fries in Port Perry? Going east on 7A at the top of the hill there are lights at Island Rd. Turn left and then into the driveway of Island Fries. Crap! 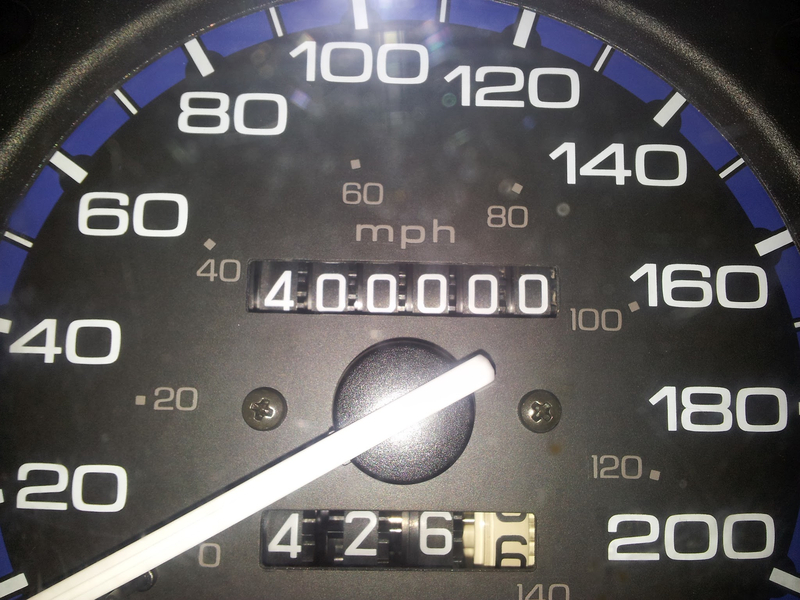 We just passed it. Continue on 7A about 5 minutes to Nestleton. There is one on the right hand side beside the General Store. I shook my head at the thought that this is the kind of information I can provide at the drop of a hat. Perhaps we should make up some kind of map and sell it. You know…kind of like the Hollywood maps of “Homes of the Movie Stars”. 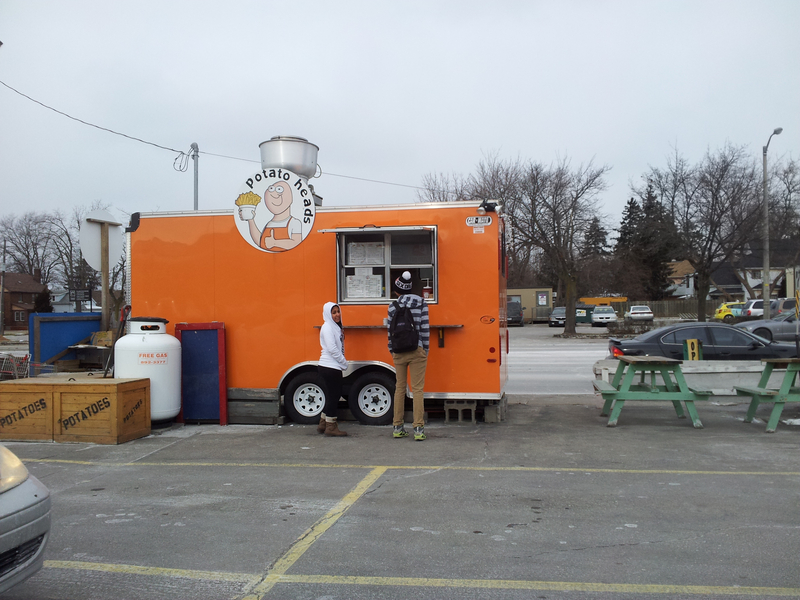 Ours could be the map of “The Best Chip Wagons” of Southern Ontario. Of course it would be constantly changing because our He-Who is fickle when it comes to his favourites. One day you are his muse and the next you are not!